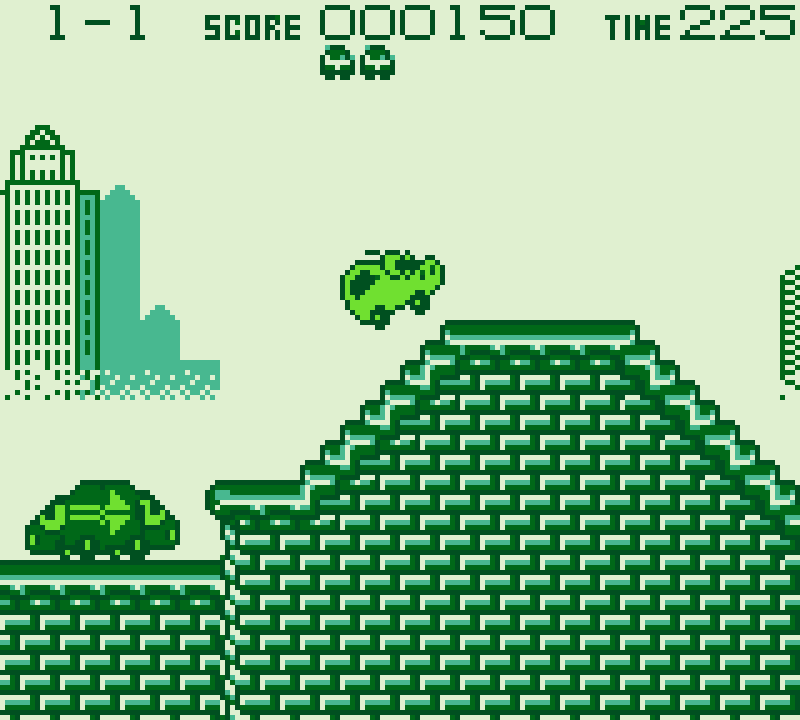 Banishing Racer is a platforming game that was only released in Japan. It consists of five worlds with 3-4 levels each, and the objective is to reach the goal before time runs out. Standing in your way are enemies that will kill you with one hit, but you can jump to attack from above or avoid them by boosting a short distance. My initial impression was how your vehicle is beaming with personality, and its charming animations are adorable! 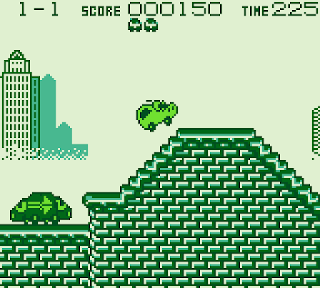 The gameplay reminds me of Hudson's Adventure Island (1988, NES) as you try to reach the finish line against the clock; it's just as tough too thanks to the one-hit deaths and right from the get-go it doesn't hold back on fiendish enemy placement and tricky environmental hazards. The game's bright exterior definitely masks its harsh difficulty in this regard, but the levels are short and have that 'just one more go' factor thanks to their tight design. The game does a fantastic job of switching up the locales and creating some memorable enemy types, such as the slot machine that features in the Las Vegas world! It also adds variety into each world in the form of either auto-scrolling, underwater or flying levels. What's odd though is how the difficulty fluctuates in these particular levels, and compared to the hard-as-nails gameplay throughout the rest of the adventure these are generally a breeze. Perhaps the best feature is the ability to earn extra lives by bouncing on four enemies in a row without touching the ground; it's a neat mechanic that adds a great risk-reward element where you chance putting yourself in harms way to earn that bonus life. Unfortunately, you will experience times when button presses are ignored, and the hit detection is inconsistent. Banishing Racer is an acquired taste and it takes real persistence to trudge through its five worlds without switching off the power or flinging your handheld across the room in frustration! While it is perhaps slightly too challenging there's still a terrific platformer here that gets many things right in the gameplay and level design departments. Random trivia: A hidden level select is available by entering a button combination at the title screen.